We hope this member support and FAQ section answers your questions about Start Up Mum and our membership. If you have any other questions, feel free to contact us. What is Start Up Mum? Start Up Mum is a national community for mums in business. It’s both an online and offline community that provides education, inspiration, tools and resources to help business mums start and grow their businesses. Who can join Start Up Mum? Anyone can join Start Up Mum…we have a no discrimination policy. If you are a dad in business or located in a place other than Australia, you are more than welcome to join and actively participate in the community. Just be warned though that we will be talking about “mum stuff” and business relevant to Australia only. Why should I join the Start Up Mum community? The Start Up Mum community offers a unique community designed especially for the needs of mums in business in Australia. We offer both online and offline networking and learning opportunities. How is Start Up Mum different from other organisations for women? We are a dedicated community for mums in business in Australia. We understand the needs of business mums because we are business mums just like you. We offer both online and in person networking opportunities on a regular basis. Our in person networking is done in a family friendly environment which allows you to bring your children along should you choose to. We offer many three levels of membership – Community Membership which is free, Premium Membership which is $97 per year or Elite Membership which is $370 per year. Take a look at our membership overview to find which level will be most suitable for your needs. My question isn't here, how can I get it answered? You can send us a question via our contact page and we will get back to you within 24 hours. Can I advertise my business on Start Up Mum? Yes you can place paid advertisements on Start Up Mum’s website. Contact us via our advertise page to discuss the options available. If you are a Premium Member or Elite Member, you can also promote your business, product, service in our online Marketplace. I'm not a mum, can I still become a member? Absolutely! We do not discriminate here at Start Up Mum and welcome all. Just be warned that we might talk about “mum stuff”! I didn't receive my login info? You should receive an email with your login info within minutes of joining. If you haven’t received it then something must be wrong. Please check your spam folder and see if our welcome email is there. If it’s not, please contact us and we’ll check it out for you. To help us out, please tell us which email address you registered with. I've changed my email address, how can I update my membership details? If you go to the very top menu bar and hover over My Account you will get a drop down menu. Select “settings” and on that page you will see the option to change your email address. After you become a member, you’ll be redirected to a welcome page and be logged into the site. We encourage you to go to your profile and add a lovely photo of yourself and cover image that reflects your personality. You can also add your social media and website details. Then head straight to the Member’s Hub to enjoy all the goodies your membership gives you access to! If there is a Gravatar associated with your account email we will use that, but it will be overrided by any image you upload from your computer. How do I change the image (avatar) next to my name? Go to My Account in the top menu and select Profile from the drop down list. Upload a new avatar from your computer (Click Browse and upload an image from your computer). How can I tell other members about me? The best way to communicate about yourself and your business is through your profile on the member directory. Be sure to include a professional photo, your bio, and links to websites and social sites. To let others know about your expertise, the best way is to share it by contributing an article or becoming a presenter of a master class, joining one of the discussions in the Forums, or comment on the articles written by others. Click Log in at the top of any page. Enter your Username name and Password. Tip: If you’re the only one who uses this computer, click Keep me signed in to log in automatically next time you visit. I'm a Start Up Mum Academy member. Will I be automatically billed each month? Your card or Paypal account (depends which one you signed up with) will be automatically billed every month on the date that you signed up. If you sign up on the 3rd, you’ll always be billed on the 3rd. If you need to stop your membership, you can easily stop your subscription on the site by going to MEMBERSHIP ACCOUNT and you won’t be billed the following month. Once you cancel your membership, your login will remain active and you will continue to receive benefits of the membership for the month you have paid up to. How can I start a local chapter in my area? Your first step is to fill in the form here to express your interest in a particular location. We will then contact you to let you know if a local chapter is already being developed in your community or let you know that it is available. We will have a chat with you, let you know more details about what is involved as a Local Chapter Host and determine if it’s a good fit for both of us. How can I print an invoice as proof of purchase for accounting purposes? Go to Membership Account and you can print a copy of your invoice there. I have a problem with payment, who do I contact? These problems are rare, but you may receive a notification from PayPal when you fill in the form if there is a problem with verifying your credit card information. The most common verification problem, is where there is a mismatch of addresses for the credit card as described in the next question. If you have other problems, please contact us and we will look into it straightaway. Select Forums from the drop down list under Members Hub in the top menu. Under Create New Topic page, you will see a Topic Title area and a Body area. In the first field, the Topic Title field, type a title for your post. This is the only part of the post that shows up on the listing page, so try to make it something that will be clear and concise. Use keywords about your topic. In the second field, the Body field, type your message. Put details about your topic here. It’s a good idea to tick the box that says Notify me of follow-up replies via email so you will receive an email when someone responds to your post. When you are happy with your message, click the Submit button. Someone is posting SPAM or inappropriate things in the forum, how can I report them? Above the post, select the word “report” and it will be flagged for admin to remove and deal with the poster. Who has access to online information about Start Up Mum members? Basic member information is only available to other Start Up Mum members who have obtained a secure user name and password. 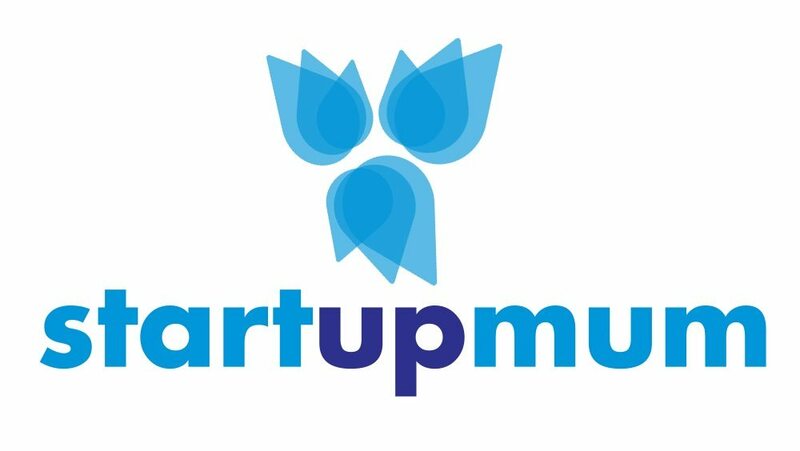 Detailed information is only accessible to employees of Start Up Mum. You can click the “Forgot your password” link below the log-in box, which allows you to submit a request to reset your user name and password. Please be sure to provide your email address. Log in details will be sent to this address. If you do not remember the email address you provided at login, you can contact us and we can assist you in getting access to your account. No, we don’t sell our lists, so your personal data is safe with us. Have you got a question that is not answered in our help section? Then please feel free to ask it here.